this past summer: he turned nine, she turned thirteen. 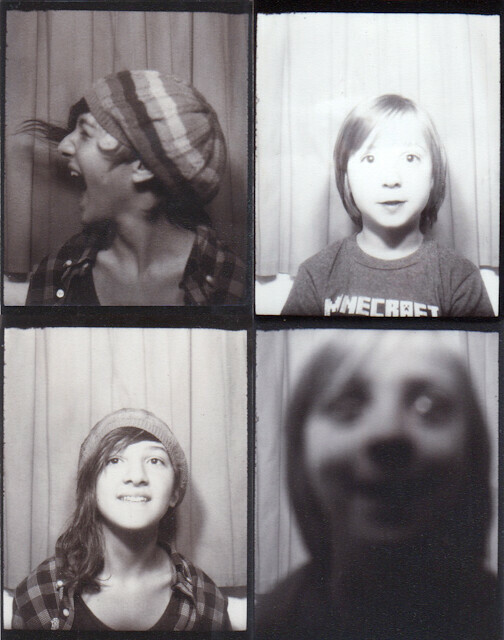 and, per our yearly tradition, we marked each birthday with a photobooth strip. I see them both so clearly here, so much of who they are. I look forward to the day we can lay out each strip, year by year. look at who they were at different ages, how they've changed. or haven't. I really look forward to that day. but I'm in no hurry, no hurry at all.